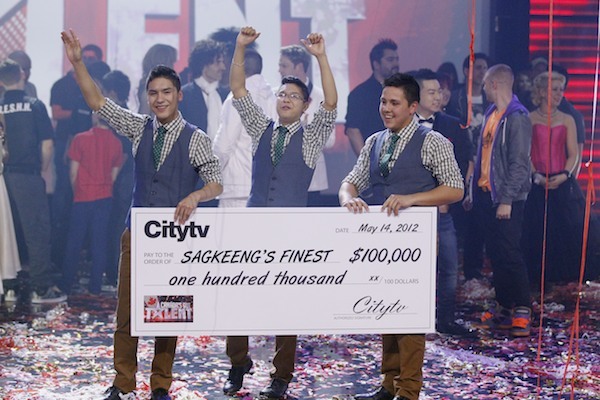 Sagkeeng’s Finest — the winners of “Canada’s Got Talent” — will show off the very talent that helped them win $100,000 on Monday on the Citytv reality show. The three teens from Sagkeeng First Nation have been invited to perform at the Manitoba legislature on Thursday. The trio will perform on the south plaza at 12:30 p.m. with their unique fusion of traditional clogging and tap dancing. Tuesday evening, the three returned to Winnipeg to a throng of hundreds of their supporters at the Richardson International Airport.